Looking out across the Kuala Lumpur cityscape, with the Petronas Twin Towers in the foreground, David Mizan Hashim smiles. 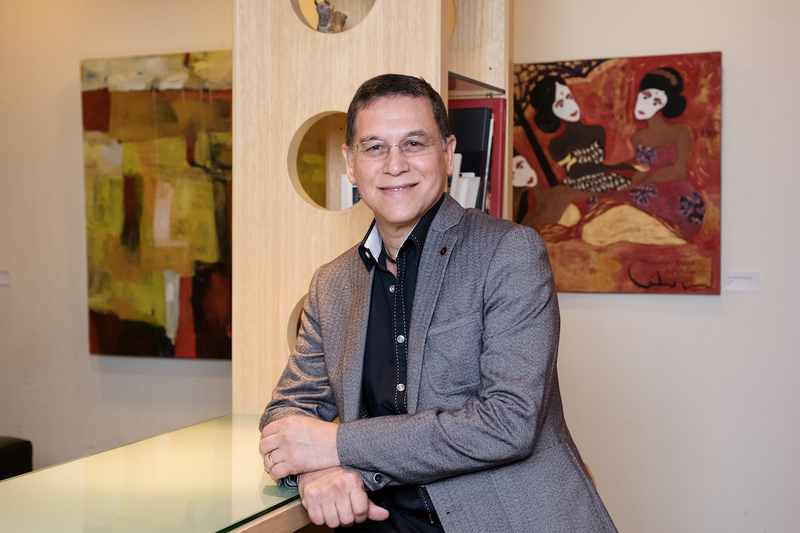 His resplendent office is a far cry from the makeshift base above a motorbike repair shop in a Kampong Bahru enclave that he worked out of during the start-up phase of his architecture firm VERITAS Design Group in the late 80s. But as they say, ‘No risk, no reward’, and with the company celebrating its thirtieth year now as a global, multidisciplinary business, David’s story is certainly testament to that ethos. Rewind to 1986, and a brash and overly confident young man from Malaysia had not only completed a Master’s in Architecture at Harvard, but also impressed his professor to the extent that he offered David his own office at a leading New York firm, and even set him up with an apartment. David’s future was laid out in front of him. The only decision left to make was Yankees or Mets. That is until he flew back to Malaysia for what was supposed to be a quick catch-up with family and friends. “It’s actually by accident that I ended up staying in Malaysia,” he reveals. The world is very diverse, you can’t roll through it like a bulldozer. Reflecting on his 25-year-old self, he’s genuinely surprised that advice didn’t go in one ear and out the other. “The David of 1987 was arrogant, he thought he knew everything, he thought he was Superman, and he wasn’t very humble,” the now 56-year-old says, with a hint of regret. While the self-appraisal is commendable, the impulsiveness he speaks of has clearly paid dividends. He now stands at the head of a firm that, along with its primary service of architecture, boasts six secondary disciplines, including interior and landscape design. VERITAS has offices in five countries – with another two set to open within the next year – and works internationally across 15 countries. It executes more than US$1 billion of project construction value per year, and is expected to eclipse its current annual revenue target of US$17.5 million. While David is clearly a savvy operator, he’s not above giving some of the credit to “dumb luck”, especially in the formative years when his four-person team would have to stop meetings every time a motorcycle engine was given a rev. “In January 1987, when we started, it was a very difficult period in the nation’s economic cycle because commodity prices were low and the country was in recession,” he explains. “The outlook was pretty bleak, but one of the great things about starting a business in a downturn is that there’s really only one direction it will go. And I would say there were a few key big breaks. “We were unknown in the market, so we would have to invest a lot and take a big risk to convince a particular client that we were capable of achieving what they needed. So we took a lot of big risks, and if any one of them had failed we would have probably gone under. Thankfully, each one of them paid off, and we were able to grow by securing some very large commissions,” he continues. The project he is referring to is the 800-unit exclusive residential development called Gasing Heights, and he still has tenants 25 years on telling him how much they love living there. “I must have done something right,” he grins. And with that success came an avalanche of projects including the International Airport in Sepang. Now VERITAS has a string of contracts across a plethora of sectors from hospitality to health care, but its most breathtaking designs are shooting out above the city’s growing skyline. 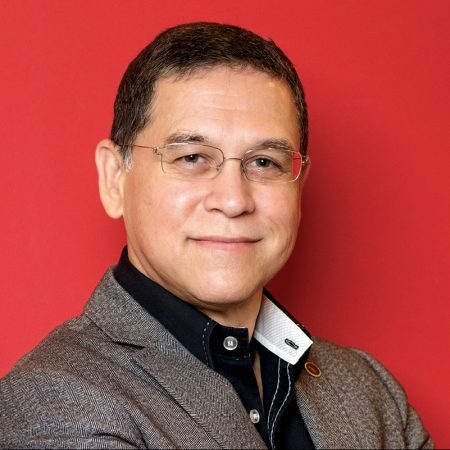 The designs of high-rises like the W Residence, the Golden Mile’s glamorous Tribeca Residence and Star Residence, are all indicative of Kuala Lumpur’s transformation into a truly international city from what David describes was once a “relative backwater”. But he’s particularly excited about the Oxley Towers, the design of which is inspired by traditional Malaysian weaving. “Right now, probably one of our more iconic projects that’s rising from the ground is called the Oxley. It is an absolutely stunning composition of three towers rising up to almost 80 storeys overlooking the KLCC Park,” he details. VERITAS is today the largest multi-disciplinary design firm in Malaysia and one of the top-10 in ASEAN. “Again, that was a combination of dumb luck and strategic thinking,” he considers. “Many years ago, we started off doing interior design, and we won a few awards and ended up getting some recognition. Then the guy who had been leading the interior design team at VERITAS decided he wanted to leave and start his own company. I was frantic, and I said, ‘No, you can’t do that. I really need you.’ He said, ‘If you give me a share of your main business, maybe I’ll stay.’ I thought about that, and I suggested that, because I wasn’t yet ready to give up what I had created, we form a separate company that specialised in his area of expertise and he could be my partner. But there’s one person he hasn’t been able to touch base with recently: his father’s friend. “That’s high up on my list of things to do. It’s been a while since I last saw him, but he knows how grateful I am. He lives an hour and a half from here, so I will make the trip up soon and give him a big hug,” he smiles.